We all dream of finding those big, once-in-a-lifetime nuggets… the ones that our scream when we hold the metal detector over them; the ones that are hiding deep down, out of sight for thousands of years. For those of us that are addicted to gold prospecting, it is one of those dreams that are always in the back of your mind. Of course for most, those big whopper nuggets are just a dream. Make no mistake, there are still some huge gold nuggets out there being found. I know skilled gold hunters who routinely find big nuggets, many over that magical 1-ounce mark. Still, even for the most experienced among us, the vast majority of the gold found today with metal detectors is the smaller sizes. In most of the United States, gold mining has been actively occurring on-and-off for over 150 years now. And metal detectors have been around for several decades now. Skilled metal detectorists that are very capable of finding gold nuggets have been exploring the goldfields for a long time now, and each year there is less and less gold out there to be found. This is especially true of the BIG nuggets close to the surface; the ones that really make a metal detector sing. Those big nuggets are getting few and far between. The big ones are fun to find, but the smaller nuggets are really the ones that will usually add up at the end of the season. 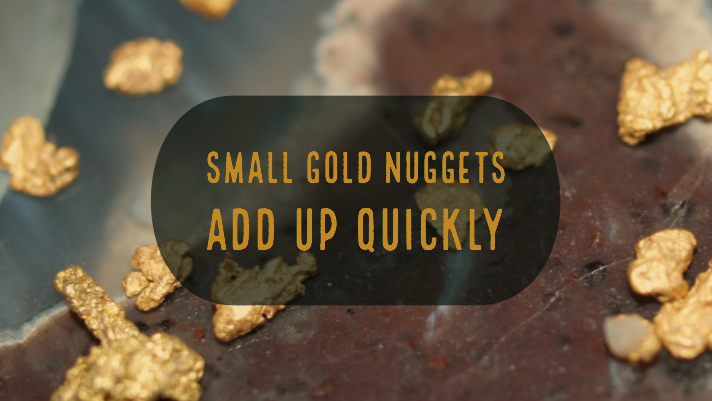 If you know of an area that reliably produces some smaller nuggets, it may be wise to focus your detecting efforts in this area, even if most of the gold found there is smaller sized. This type of thinking can result in a sloppy detecting technique. If you are only worried about the big nuggets, then you can get very sloppy, ignoring the quiet signals and simply wandering around looking for those big “boomer” signals. Another thing that people often think is that they need the newest, greatest detector on the market so they can find those big nuggets. The new, expensive Pulse Induction detectors on the market these days are fantastic gold detectors, but they are not as sensitive to small gold as the trusty VLF detectors. For small gold nuggets, it is still hard to beat the Fisher Gold Bug 2 . Even newer VLF detectors like the Gold Bug Pro and Garrett AT Gold are great on small gold, and cost just a fraction of what the PI detectors cost. You don’t need to spend thousands on the newest detector on the market to be successful. Those PI detectors are great if you are searching an old, pounded out nugget patch that you need to get every last inch from your detector. But working on those lesser worked “crumb patches” can often be much more productive in terms of overall success at the end of the season. Just a little something to consider… I just spoke with a part-time gold hunter in Nevada. He exclusively uses a Fisher Gold Bug 2 metal detector with a small 6" coil, and the last three years he has gotten over 10-ounces of gold each season. Yes, he had some nice sized nuggets in his collection, but the vast majority of his finds were under 1-gram each, and many were under 1/4 gram each. Three years of metal detecting has yielded him over $40,000 in gold. 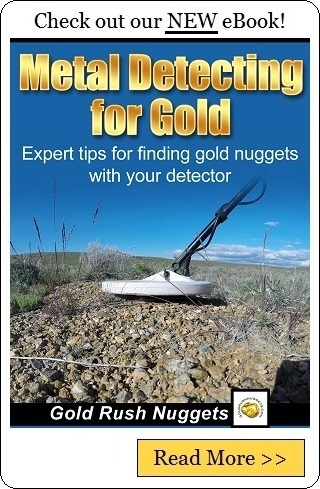 Not by finding just a handful of big gold nuggets, but rather by focusing on some small nugget patches and working them with a sensitive detector. Those small gold nuggets add up quickly.